Green With Envy . . . In the next few hours a large chunk of the world will go green – not out of a love for the environment, but because that’s what you do on March 17. Forget about any sense of style, every shade of green you can envisage will be flown, painted, worn and waved on St Patrick’s Day. All those inner Irishmen and women will surface for 24 hours of corned beef and cabbage, stout, whiskey and a few old songs about the Emerald Isle. Paddy’s Day is an occasion for celebration, a day to maybe overindulge with drinking and singing… sure isn’t that what those Irish are famous for? That’s true. Us Irish have a bit of a reputation when it comes to having a hooley or losing our tempers. The hot-blooded, big-drinking Irish… the Land of Saints and Scholars from which some of the world’s greatest writing has emerged. >> Paddy’s Day wouldn’t be Paddy’s Day, nor the Irish, er Irish, without ‘a drop of the crater’ or a few pints of stout to line the gullet. We have Arthur Guinness to thank for developing the country’s most successful and recognisable global export. Not so well known as Arthur, but just as important in his own way is one Aeneas Coffey, who came up with the world’s first heat-exchange device in 1830. Now, that may not sound particularly Earth shattering, but his brainwave proved to be a major development in the distillery business, including whiskey. Slainte Aeneas (hic!). 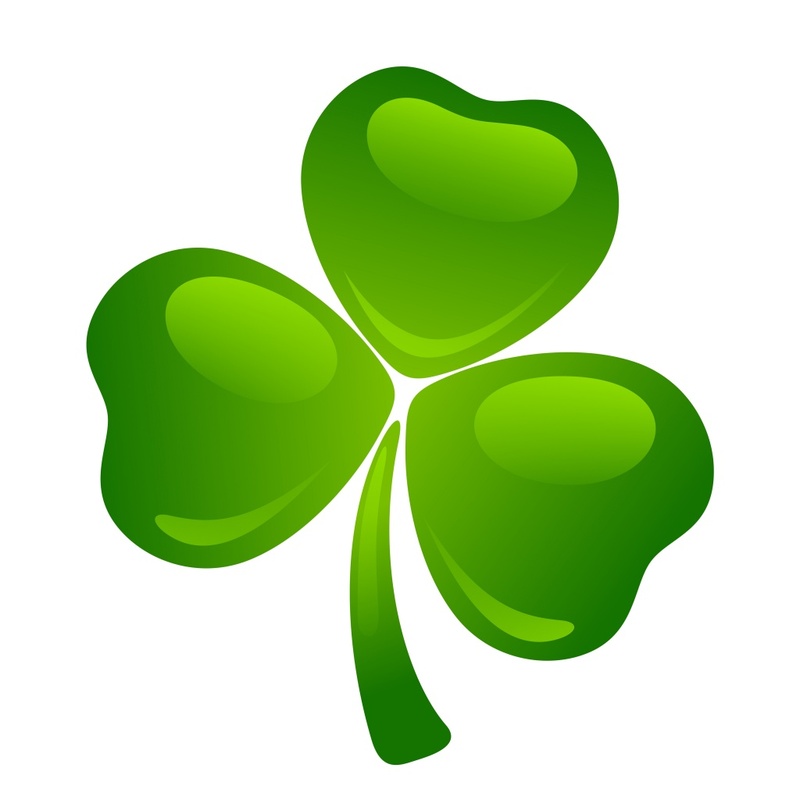 >> So, you’re in Ireland on Paddy’s Day and you want to phone the relatives in the States or wherever to wish them well. 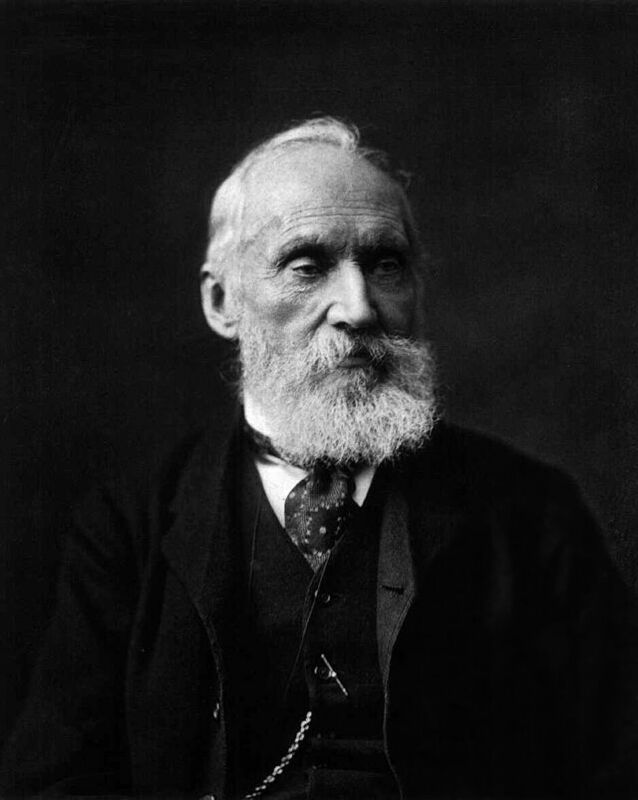 You probably wouldn’t be doing anything of the sort were it not for the wonderfully bewhiskered Lord Kelvin Thomson, who set up the Atlantic Telegraph Cable in 1865. His work helped to lay the cable which stretched from Newfoundland to Valentia in County Kerry, leading to the practice of trans-Atlantic calls. The bold Kelvin didn’t stop there. He also had a huge interest in measuring temperature and in thermodynamics (as you do…), and gave his name to the ‘Kelvin Scale’, which is a measuring system used in physics. >> Alright, you’re at the parade on O’Connell Street and you want to take some photos of the grand occasion (personally, I’d go to New York, it looks much better…). Well, you have John Joly to thank for that out-of-focus, head-cropped-off image you just snapped. In 1894, Joly found a way to produce colour photographs from a a single plate. In the process he changed the way we view the world. Joly, from Hollywood, (not that obscure place in America, the one in Co Offaly) was a prolific inventor. He’s also responsible for meldometer (wonderful name!) for measuring the melting points of minerals, the steam calorimeter for measuring specific heats, and the photometer for measuring light intensity, as well as coming up with the small idea of using radiation for cancer treatment. Take a bow, Mr Joly. >> As someone whose Gaelic name is O Leathlobhair (which literally means ‘half a leper’) I have a soft spot for one Vincent Barry (1908-1975), who managed to find a cure for leprosy by accident. From a bacteriological point of view, he realised that tuberculosis and leprosy were quite similar. 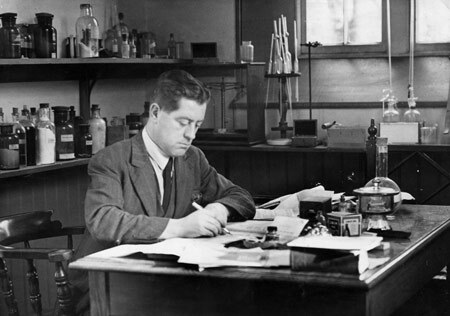 Leading a team of nine scientists, Barry synthesised a compound called B663 (Clofazimine). The compound became part of the multi-drug antibiotic therapy used around the world in the treatment of leprosy, one of the world’s most debilitating diseases. Barry’s work would lead to 15 million people being cured of the disease. >>Today’s farmers should take a moment out of their busy schedules and spare a thought for Harry Ferguson (1884-1960). If it wasn’t for Harry they’d find their work a whole lot tougher. Harry’s love of engineering first came to the fore in 1908 when he became the first Irishman to fly and the first citizen of the United Kingdom to build and fly his own aeroplane. This creative genius from Co Down also invented his own motor cycle and the first ever four-wheeled Formula-One racing car… not bad going for someone who was originally a bicycle repairman. However, his work on the Ferguson System became the basic design of the modern tractor that is used today. His name lives on in the Massey-Ferguson company. >> On May 17, 1897, something remarkable happened in the field of maritime history – the first submarine with power to run submerged for any considerable distance was launched. It was also the first underwater vessel to combine electric motors for submerged travel and gasoline engines for use on the surface. 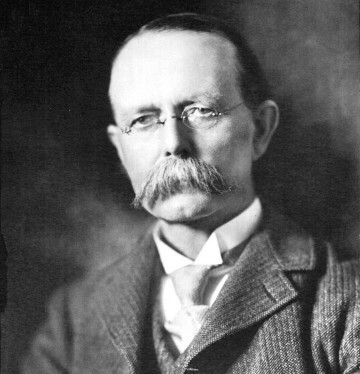 A former Christian Brother from Liscannor, in Co Clare, John Philip Holland was responsible for that. In doing so, he became the first person to successfully launch a submarine. His vessel was formally commissioned by both the US Navy and the Royal Navy in 1900. Holland died in 1914 at the age of 74. His work paved the way for a new phase in underwater warfare and oceanography. >> Two other Irishmen also made their mark when it came to warfare. Walter Gordon Wilson, from Blackrock, in Dublin, developed a real battlefield game-changer. Wilson also found time to invent the self-changing gearbox which was used in a whole range of cars, buses, rail cars and boats. Another Irishman with a talent for developing military equipment was Louis Brennan, from Castlebar, Co Mayo. Brennan just happened to invent the guided missile as far back as 1874. His steerable torpedo was patented in 1877 and sold to the British Navy for £100,000 used as a coastal defensive mechanism. Brennan also did much work developing the helicopter, as well as a gyroscopic-based monorail system, which worked in tests but which the British government decided not to adopt due to concerns over the reliability of the gyroscopes. Brennan died in 1932 when he was hit by a car in Montreux, Switzerland. He was 79. >> And let’s hear it for Dublin-born Francis Rynd, whose contribution to the medical world is really quite huge. It was Rynd who invented the first hypodermic syringe. Rynd believed that if he could inject a sedative into the bloodstream of the patient, their pain would be relieved much quicker than if they had taken drugs orally. >> Finally, let’s not forget Co Down man James Martin, who together with Capt Valentine Baker invented the world’s first ejector seat. The first live test of the seat was held in 1946 when human guinea pig Bernard Lynch, was launched into the air landing without injury. From then on, everyone had to have one – even James Bond used an ejector seat in his Aston Martin. Today, every fighter jet is equipped with one to safely propel the pilot out of the plane at great velocity in the event of an imminent crash. So, ’tis a great day to be Irish. We’re a great little country… just don’t mention the economic collapse and the mountain of debt now sitting on the shoulders of every Irish citizen for decades to come, thanks to our greedy bankers and stupid politicians. Where’s that ejector seat when you need it! Happy St. Patrick's Day, Mr. Lawlor. The same to you, Ms Fullerton. Great article David! Perfect for the day that's in it! Happy St. Paddy's Day to you! Thanks Fran. Happy Paddy's Day!